Wesley Cook Bentley was born on the 4th of September, 1978, in Arkanas, USA. To the public he is referred to as Wes, son of two methodist ministers. His family includes two older brothers Jamey and Phillip, and younger brother, Patrick, who has been known to substitute him in past movie roles. Wes grew up in Mountain Home, Arkanas where he played the instrument of drums at his local junior high school. During sophomore year at school he moved to Sherwood, Arkanas. He then attended Sylvan Hills high school, from his sophomore to senior year. Solo acting, poetry, words and music were competitions Wes participated in during his time at high school. In 1996, he finished second in the state for solo acting, while also starring in the local production of "Joseph and his Amazing Technicolor Dreamcoat". During Wes' time at high school, he was involved with the drama club, band and also helping to establish a soccer team at his school. In 1996 he graduated from high school, then attended the Julliard School of New York, where his acting opportunities came with the stage work of "Henry IV, Part 1" and "The Weavers". Later in his life, his work was discovered at an open cattle call for the film, "Rent". A casting director spotted him, and asked him to read for the film. Seven call backs later he was given the role, but the movie was never made. Although, there is no evidence that the film was ever created, the day at the casting of "Rent", was his big break. It gave him a boost to being able to have the opportunity to star in the very dark film, "Beloved", to his much loved role as Ricky Fitts in "American Beauty". 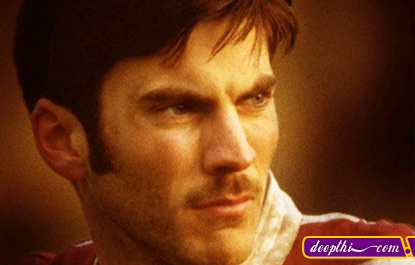 Now a very popular, successful and well-known actor, Wes Bentley enjoys playing the sport of soccer in his spare time.